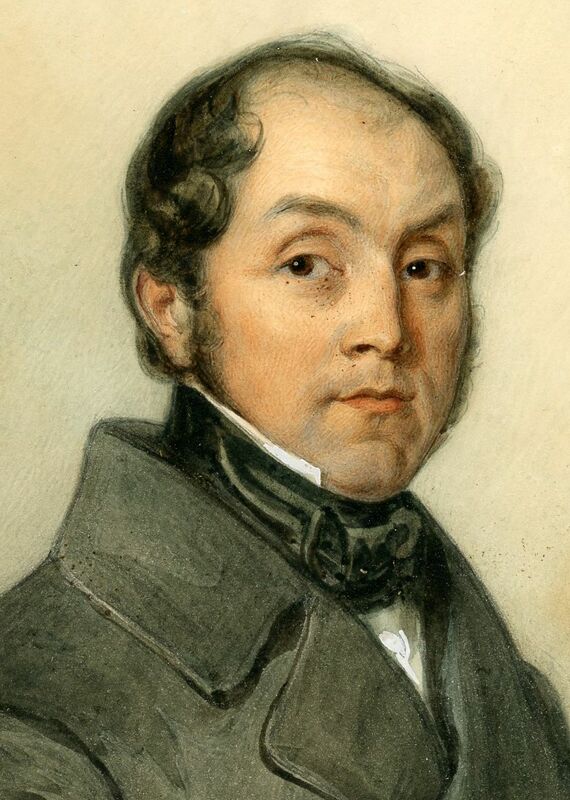 A self-portrait has always been a dynamic marketing device for the portrait painter proving not only the artist’s ability to create a likeness but his skill at capturing character. 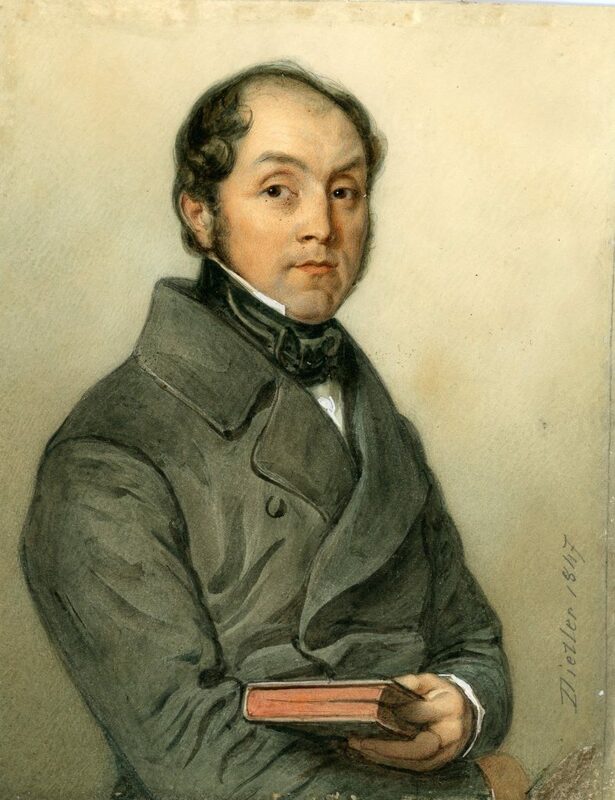 Jacob Diezler (1789-1855) was better known though for his romantic river landscapes. 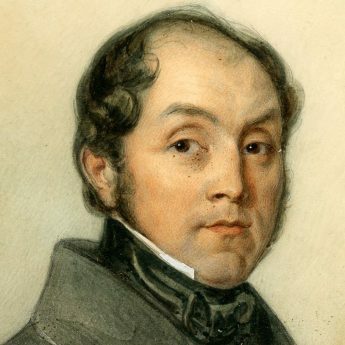 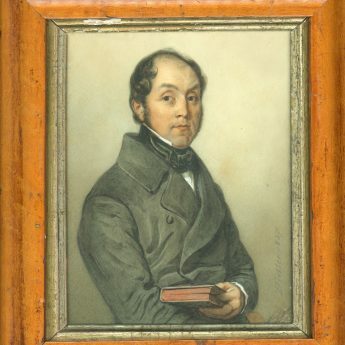 His watercolour portrait shows him as a confident man, well-satisfied with his position in life. 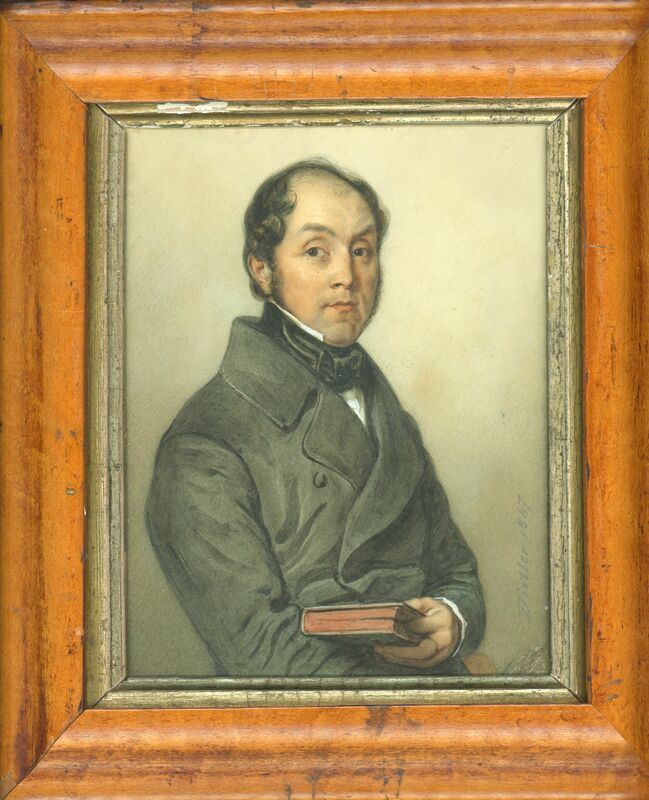 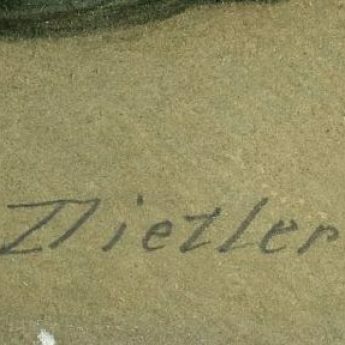 The portrait is signed and dated – Diezler 1847 – and is presented in a maple veneer frame with a gilt slip.